Roofing estimate is something that is necessary but most homeowners would rather avoid all together. It’s not the roofing estimate portion as much as it is sorting through the roofing contractors that appear online. Angie’s List and Home Adviser (aka: Service Magic) were ways most homeowner found their way to a contractor that others have recommended. However, with the growing popularity of “ratings” on Google and other search engines, those companies have found themselves going to free services in an ever growing world of diluted reviews. I say diluted because many companies online often have less than real reviews. Some by false email accounts set up and others by friends and family. This is how a once great way to sort through the mass of roofing contractors has now become diluted. It’s a good way to start but don’t hang your hat on this process. When looking for a reputable roofing contractor in your area, it is always best to start with the source. 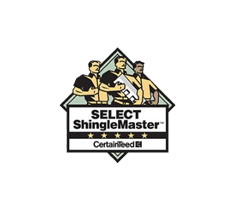 Start with the shingle manufacturers themselves to tell you who has taken the time and effort to become certified. What does that mean? There are levels of factory certification with all shingle manufacturers. GAF has a Certified and Master Elite levels while CertainTeed has Shingle Master and Select Shingle Master. Owens Corning has Preferred and Platinum Preferred level as well. The list goes on and on. Point being, look for a local roofing contractor that meets the highest level of certification and start there to find a roofing estimate. Reputable roofing contractors will offer you a list of references for you to contact. Some do not offer them up while others provide them without asking. That alone is a good way to weed out the good with the bad. However, all reference lists are good reference lists. Who would provide a list of bad references? Chances are no one. 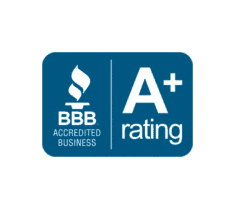 So, where to go but your local or regional Better Business Bureau. 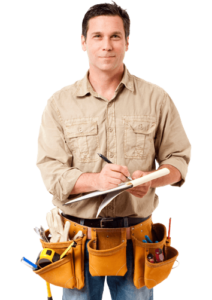 If there have been complaints with a roofing contractor in the past you are sure to find it there. The best part is that you can see how and/or if it was resolved. This is a great second tear to weed out who you should choose when looking for a roofing estimate. With that all being said, it is a process that you cannot avoid when looking to replace your roof. However, it is a process that can be a good one if you just take the time and do the research within the proper channels. Always start local and always look for those who are factory certified roofing contractors. Roofing estimate is something that is necessary but most homeowners would rather avoid all together. It's not the roofing estimate portion as much as it is sorting through the roofing contractors that appear online. Could not agree with you more! This is definitely the best way to filter the roofers, to know whether they are certified by GAF or other reputed manufacturers and inquiring with the local business bureau.